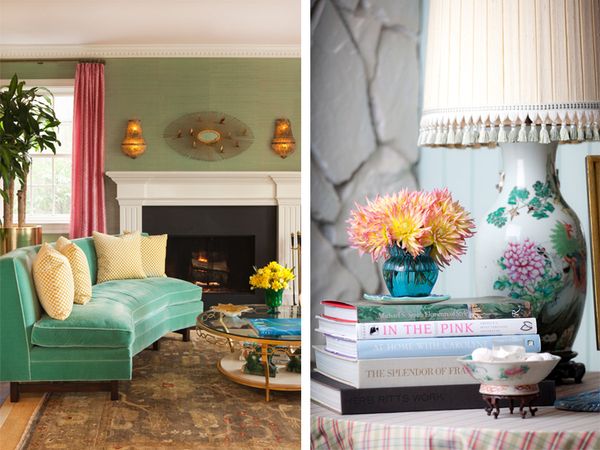 How appealing are the mixtures of colors in these interiors designed by Hillary Thomas? 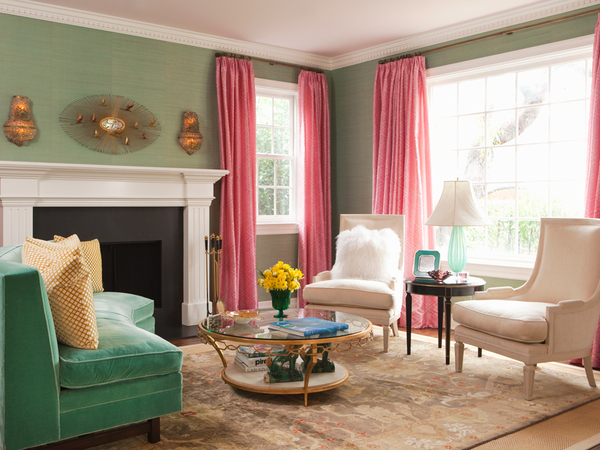 The jade green couch is so pretty, especially in combination with the warm pink curtains and little gold elements. The very daring and bold choices have turned out so well. I'm getting happy by just looking at it. Even the combination of prints is very thought-through. Look at how the rug pattern reappears in the window treatments. 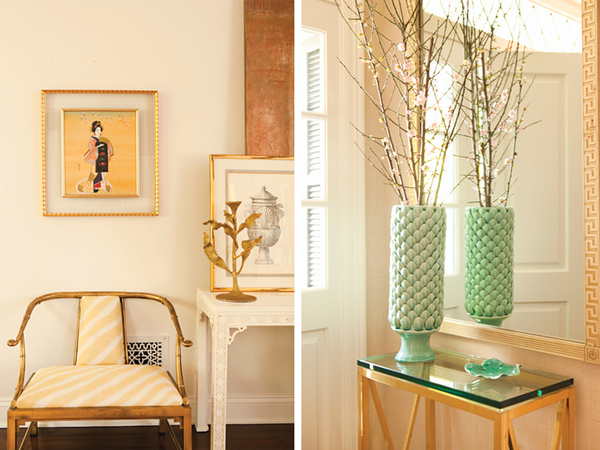 Absolutely love the turquoise vase and the gold side table.